You were going to each lunch anyways....Come have fun and make a difference in the world! Apple Valley Rotary Club and American Legion are teaming up to putting on a Fund Raiser for polio plus. The why- As long as a single child remains infected, children in all countries are at risk of contracting polio. The car raffle funds go to things like this. Thank all of you for your support in making a difference locally and internationally. Patrick Shannon sent us this picture. Look in the top right corner of the device. It was donated from the clubs funds. They helped 500 patients in this trip. The Apple Valley Rotary Scholarship Foundation raffle winner was drawn on Saturday, October 13th, at 1pm at Apple Valley Ford Lincoln. Thank you to everyone who purchased a ticket and came out to watch the drawing. A big thank you to our returning sponsors, and our new sponsors this year. Finally, thanks to Apple Valley Ford Lincoln for a great venue to host the raffle. We will be contacting the winners to arrange delivery of the prizes. Beginning March 14th, Apple Valley Rotary Club meetings will be held at LaGrand Conference Center at GrandStay Hotel Apple Valley (7083 153rd Street West, Apple Valley, MN 55124). Help us ring in International Women's Day with our first ever Days for Girls event. 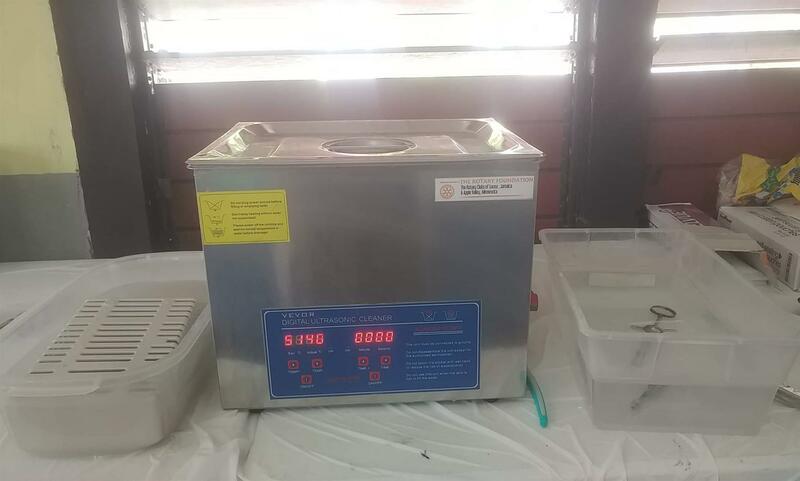 We'll be creating re-usable sanitary kits to help girls around the world manage their periods. The event will be on March 7 from 5-7pm at the Apple Valley Senior Center. Why does this matter? The kits we make “have become a stigma eraser, a confidence builder, and a girl-power enabler.” A study in Bangladesh showed that 40% of girls reported missing at least one day of school a month due to menstruation. 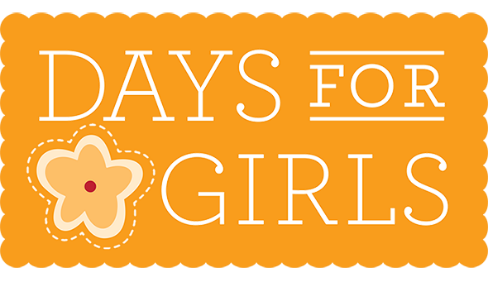 Days for Girls Kits build confidence and serve as a gateway to open vital conversations around health, safety, and leadership. Details are still being determined, but add this to your calendar, now! Close isn’t good enough for Karen Kirkman when it comes to eradicating a life-altering disease. A member of Apple Valley Rotary, she’s worked with other members to put together a fundraiser for polio eradication. On Sunday, Jan. 28, Apple Valley Rotary hosted its first ever Polio Plus spaghetti dinner and silent auction at the Apple Valley American Legion Post 1776. Kirkman chaired the event, but she said it was a combination of club and community members who helped her pull it off. 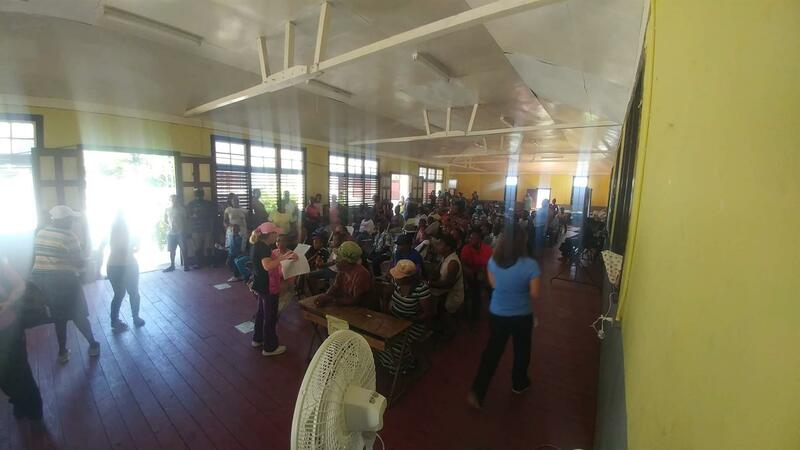 “Everyone was enthused and the momentum built as members came in with donations, sold tickets, and promoted the dinner,” she said. Rotary served dinner to 168 people and raised $4,700. The Bill and Melinda Gates Foundation tripled everything the club raised, so the event raised $14,100. The American Legion donated $2,000, which the Gates Foundation tripled to $6,000. In total, the club has raised $20,100 for polio eradication efforts. Several honored guests attended, including Mayor Mary Hamann-Roland, District 196 Superintendent Jane Berenz, Legion Post Cmdr. Carla Tappainer, former mayor Mike Garrison, first vice president of the Legion Bob Nelson and state Rep. Anna Wills, R-Rosemount. District 5950 Polio Plus Chair Tim Mulcrone and Rotary President Wayne Hilbert made remarks. Many of the hosts and attendees are passionate about eradicating polio because they’ve seen firsthand how the disease can forever change someone’s life. Finding a cure for polio doesn’t make many headlines in the U.S. because it is so rare, but the disease is still a major issue in other areas of the world. Rotarian Tasha Wells was also inspired by the proximity to eradication. For Kirkman, polio eradication is personal. “My initial interest in this cause is because my dad was a victim of polio,” Kirkman said. He survived, but walked with a limp for the rest of his life and had to retire early after contracting post-polio disease. Kirkman said she couldn’t have organized the event without the help of community member Bill Tschohl. “Bill took an active interest and sold tickets, promoted the event, brought in numerous silent auction items and helped with the organization of the day,” Kirkman said. Tschohl was a 22-year member of Apple Valley Rotary and publication chairman for six years before retiring from the club in 2016. In November 2017, Tschohl connected Kirkman with Lindsey Green, general manager of the Apple Valley Legion. Together, they selected a date and a menu. “From the start, Lindsey and the leadership at the legion were enthusiastic about the dinner fundraiser,” Tschohl said. Table arrangements, ticket sales, silent auction items — Tschohl helped her work through each detail, and he committed himself to selling dozens of tickets and collecting many silent auction items. This work was personal for Tschohl too. Tschohl was completely paralyzed by polio in 1950 when he lived in Mankato. He spent time in an iron lung at University Hospital and nine months at Sheltering Arms for treatment and recovery. While at Sheltering Arms, he watched fellow young patients have hot packs put on their limbs before doctors stretched them. 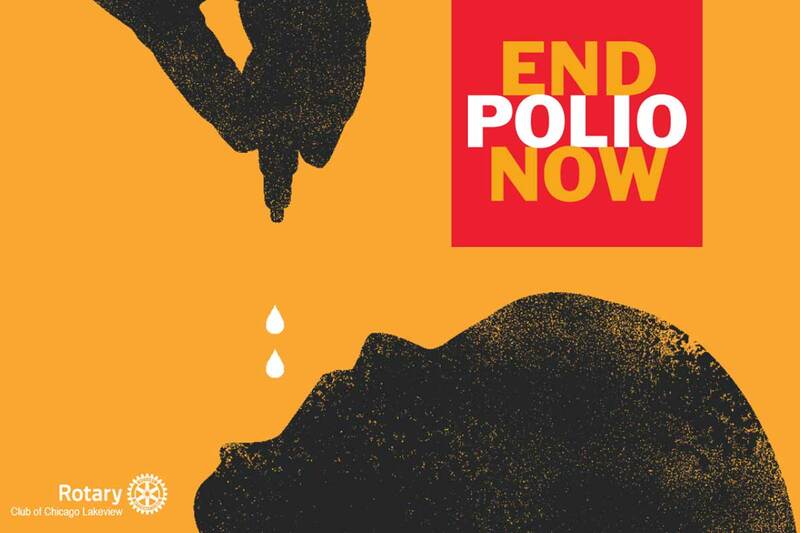 Today, Tschohl remains passionate about eradicating polio throughout the world, and was happy to work with the club, as “Rotary International continues to be the heart and soul of polio eradication,” Tschohl said. Both Tschohl and Kirkman remarked that the community came together in unexpected ways for this event. Wells was impressed with the depth of community involvement. From the youngest leaders to the most seasoned, Apple Valley residents came together to make the event happen. Kirkman’s co-workers at MidCountry Bank helped her organize the silent auction, and the company donated 150 cupcakes to the event so the attendees could have dessert. She’s hoping to work with Rotary to put something together for World Polio Day on Oct. 24. She’s also interested in making the dinner an annual event, and is in conversation with other club members about ways to build momentum. Contact Amy Mihelich at amy.mihelich@ecm-inc.com. Wow - what a fun day. We started with live music and grilling hot dogs, took some time to say thanks to our sponsors, presented checks to the Apple Valley Arts Foundation and the Apple Valley Fire Relief Association, and ended the afternoon by awarding some great prizes, including a new car. We believe that children are our future. A number of our service projects and many of our donation dollars focus on youth - particularly kids right here in Apple Valley. In 2015-2016, Apple Valley High School students launched their own Interact Club (think of it as Rotary for high schoolers). Despite being such a new group, they’ve already begun to change the world. Last year they raised money to assemble Wapis. In places without access to clean water, these are used to purify water, without needing to bring it to a boil. They’ve just wrapped up a blanket drive for those in need in our community, and are gearing up with a fundraiser and food drive that will culminate in some of their favorite teachers and Rotarians being attacked by pies. If that wasn’t enough, they’ve grown their group through marketing, designing their own shirts! Below they're being recognized at the State of the City for their dedication to making this world better. 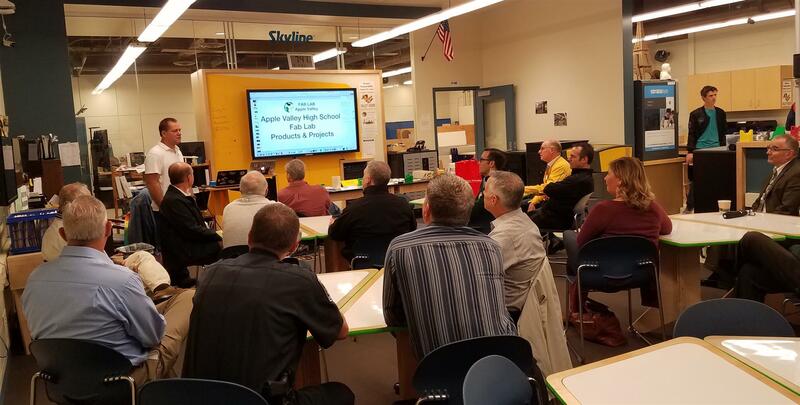 We work with the AVID class at Apple Valley High School through Rotary’s STRIVE program. Rotarians and other community members visit as guest speakers, talking with kids about topics ranging from time management to personal finance. At the end of the year, we award a scholarship to help students continue their education. Every month students from the three Apple Valley Middle Schools - Valley, Falcon Ridge, and Scott Highlands - are picked by their teachers and recognized by Apple Valley Rotary. Hearing about their intelligence, kindness, and generosity give us hope. Literacy is another passion of ours. With a few other groups, we ensure that all third graders in District 196 get their own Dictionary. Each fall, we visit third grade classrooms, teach excited kids about Rotary, and uncover fun facts. Did you know the longest word in the English language has 189,819 letters? In 2015-2016, one of our members spearheaded a book donation drive. We collected 4,000 books. In 2016-2017, we got tired of counting after 6,000. These books are distributed throughout our community – to Head Start classrooms, ELL (English Language Learner) classrooms and more. We are proud to live in a place where literacy is so highly valued and are happy to further the cause! We are the charter organization for Apple Valley’s Cub Scout Pack 227 and love the continued involvement with this great group of future leaders. Together we clean up Redwood Park (and enjoy hot dogs and hamburgers!) and we were honored to be asked to be part of their fundraising efforts for a new trailer. Watch for it soon! Have ideas for more ways for us to get involved with youth in Apple Valley? We’d love to hear them! Scott Ramsdale donates $85 for the ability to pick the deck we use for our card game. Minutes later, he earns the chance to pull the first Iowa Hawkeyes card from the deck. As usual, the Hawkeyes disappoint. Earlier this month, we raised money, bought, and wrapped gifts through 360 communities' Armful of Love. We enjoyed each others company at our annual holiday/wrapping party, and even got a surprise visit from Santa (he brought chocolate!). What a great night! We had such a great time celebrating our fundraising efforts and the winners of our raffle! Car Raffle Just Days Away! Our annual fundraiser wraps up on Saturday, October 15. In case your paper chain is broken, that's in just two days! Join us at Apple Valley Ford as early as 10am. We'll have music, free food, and the last of the raffle tickets for sale on site. The drawing is at 2:30pm and we'd love to have you (but you need not be present to win). And if you can't make but want a $20 raffle ticket to support us, please contact our fundraising chair extraordinaire - Alan Player - at AJPRotary@gmail.com and he'll hook you up. We woke up early to get to work Wednesday morning. Before breakfast, we put Rotary stickers on 6,000 books we had collected this summer, and 1,800 dictionaries. Thank you to Wings and Savers for being our partners in supporting literacy right here at home. Thanks Sharon LaComb for organizing our book drive, Mark Bodin for organizing the Dictionary project, District 196 for getting these books to children, and to all our Rotarians for putting in such hard work raising the money for the Dictionary project during our annual car raffle, and doing the work to collect so many children's books. District 196 Superintendent Jane Berenz will join us for a photo op at the end of our meeting on Wednesday, September 28th. We thought it would be a good time to have a professional picture taken of our entire club. So dress appropriately........(knobby knees in the back row!). What a huge success! It feels so good to make a difference. Every month, our club board meets to talk about how to imp rove our club. Want to share your ideas on how our club can continue to improve? Let us know or join a committee! Community Service Survey is Open! We're getting 2016-2017 off to a great start. Please give us feedback on our community service efforts so we can continue to improve them. Below is a link to a four question survey. https://www.surveymonkey.com/r/TWR3QGQ We're looking forward to hearing your responses. Jari Hamlin begins her year by presenting outgoing President Eva Cheney-Hatcher with a farewell gift. Congratulations President Hamlin and best wishes for a successful and fun year! Thank you Past President Cheney-Hatcher! At the end of June, we headed over to Vivo Kitchen in Apple Valley for some amazing food (seriously love that lasagna) and our annual awards banquet. Here's to a wonderful 2016-2017! Apple Valley Rotarians joined forces with volunteers from Beyond the Yellow Ribbon to help a disabled veteran and his family move to a new home. Many hands made light work of the job, and the truck was loaded in an hour. Apple Valley High School's Interact Club was recognized at Mayor Mary's State of the City. We are so proud of the work they have been doing! Thank you, Robert Braun, for getting their club started this year! District Governor Tim Murphy (right), President-Elect Jari Hamlin (center) and Jerry Hamlin(right) at the RI Conference in Seoul. Thank you to our members Tom Goodwin, Roger Huber, Jon Rechtzigel, Scott Ramsdale, and Merv Nordstrom - and to Mark Bodin and his kids (not pictured) for cleaning up McAndrews on Wednesday. It looks great! Sorry you weren't allowed to play with the heavy machinery. The Flag Ceremony at the Opening of the RI Conference in Seoul, Korea. Representatives from each country proudly carry their flag into the arena, and the flags remain there for the length of the Conference. Congratulations to our May students of the month from Falcon Ridge, Valley, and Scott Highlands Middle Schools. Congratulations to some very talented AVHS students on earning STRIVE Scholarships from Rotary. You deserve it! Best of luck on your future endeavors! On Wednesday, we had a visit from one of Apple Valley's Robotics Teams - The Diamonds. What amazing work these students are capable of! Click the link to see what their robot can do. Apple Valley Rotarians Robert Braun, Jessica Fields, and Eva Cheney Hatcher mentored students in the Apple Valley High School STEM program, helping them set up accounts on LinkedIn. 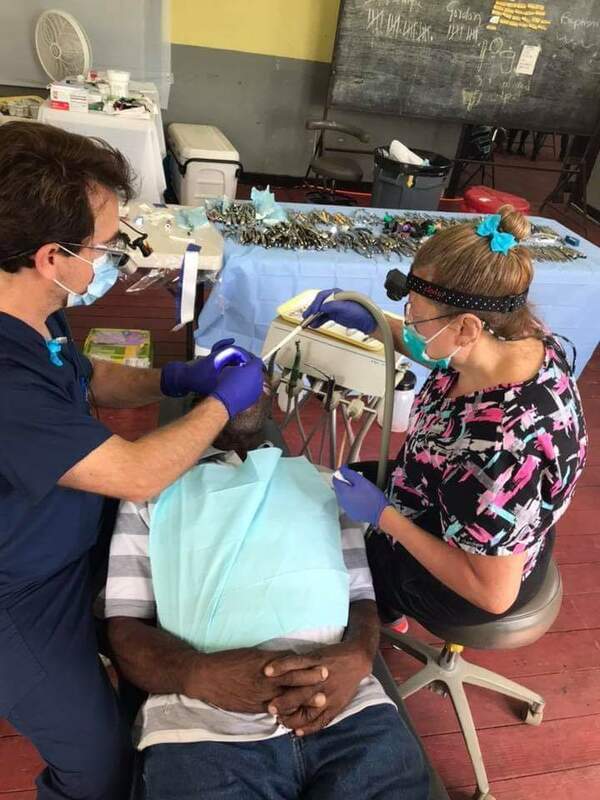 Just one of the many ways AV Rotary connects with community youth. Sal Mondelli (left), President and CEO of 360 Communities, will be handing off his role to Jeff Mortensen (center/right) at the end of 2016. Both men were guests and speakers at the Apple Valley Rotary meeting this week. Also shown are Eva Cheney-Hatcher, President, and Rotary member Gwen Aaberg, Administrative Manager for 360 Communities. 360 Communities President & CEO Sal Mondelli has announced that he will retire at the end of 2016. The board of directors has approved the promotion of Chief Operating Officer Jeff Mortensen to President & COO, effective immediately, with a transition plan for him to succeed Mondelli as CEO later this year. On February 1st the Apple Valley Rotary Club participated in the Feed My Starving Children South Metro Meal Pack being held at the former Rainbow Foods. During our two hour shift, we helped to pack 978 boxes containing 211,248 meals which is enough to feed 579 kids feed for a whole year. Thank you to all the Rotarians who helped out! A small "army" of AV Rotarians volunteered to "Ring the Bell" for the Salvation Army at the AV Walmart. President Eva Cheney-Hatcher and clubmember Paul Heil smiled for the camera during the "changing of the guard" from one hour to the next. In all, 8 Rotarians spent the day volunteering. This is an annual event for Apple Valley Rotary spearheaded by Merv Nordstrom. With bright sunshine and warm temperatures, it was a BEAUTIFUL day in Minnesota to be vounteering and giving back to the community! On October 24th, as part of our Apple Valley Rotary fund raiser/raffle and in acknowledgement of World Polio Day, Apple Valley Ford donated $50 to Polio Plus for every car sold that day. They sold 20 cars, and donated $1,000. This donation will be matched by the Bill and Melinda Gates Foundation 2:1, which results in a total donation to Polio Plus of $3,000. 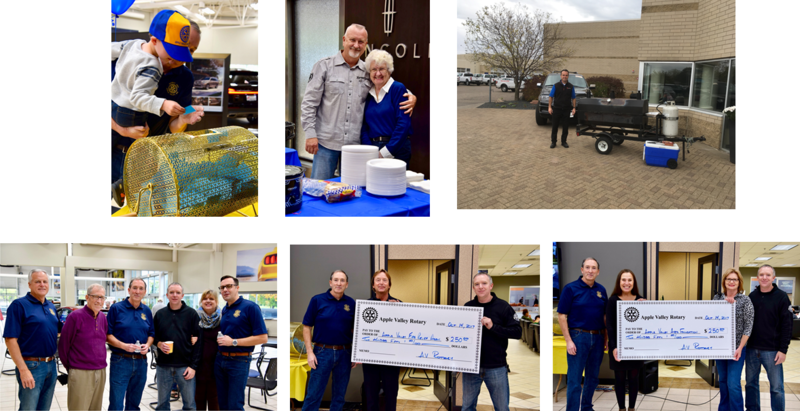 Apple Valley Ford has been an incredible partner with Apple Valley Rotary in our annual fundraiser, and this year went above and beyond with their Polio Plus donation. Mark Matijasevich-Apple Valley Ford Sales Manager and Rotarian, Chris Gulbrandson- President of Apple Valley Ford, Eva Cheney-Hatcher- President of Apple Valley Rotary, and Bill Tschohl- Rotarian. Twice a year Apple Valley Rotarians don their orange vests and gloves, grab some garbage bags, and clean up garbage along McAndrews between Cedar and Johnny Cake. This year they braved dreary skies and cold temperatures. AV Rotarians do a lot of "hands-on" service projects throughout the year, and do them with a smile, camaraderie and fun. How many people driving by could have guessed that this group was made up of accountants, bankers, lawyers, council members, insurance representatives, and even a guy from Scotland! 2015 Foundation Raffle Winners Announced! Thanks to everyone who purchased a ticket, provided a sponsorship, and otherwise support this years' fundraiser, which netted over $42,000 to support the work of the Apple Valley Rotary Scholarship Foundation. Thanks also to Apple Valley Ford Lincoln, who helped sweeten the success on World Polio Day by donating $50 for every car sold on 10/24 to support the eradication of Polio. The Gates foundation will match these donations 2 for 1 - making each car sold worth $150 toward Polio eradication. A 2015 Ford Focus - Ticket # 740. Apple Valley Rotary announced that it will make a $2,000 donation to Polio Plus in honor of Club Member Bill Tschohl. The announcement was made during District Governor Tim Murphy's visit to the Club. Busy morning at Apple Valley Rotary Club meeting. We collected 4000 children's books for ELL and Headstart in District 196, spearheaded by member Sharon LaComb. Everyone pitched in to put Rotary stickers on each book so that kids will know that Rotary cares about them! Some members also did the "heavy lifting" getting the books to the meeting for "processing" and then off again for "delivery"
Apple Valley Rotary Club teamed with Rosemount Rotary Club to purchase a commercial refrigerator for the Rosemount Family Resource Center. Kevin Braun, son of Apple Valley Rotarian Robert Braun, received the Literacy Award this morning at our weekly meeting. Apple Valley Rotary collected over 4000 books to donate to ELL and Headstart programs in District 196. Kevin heard about the project and wanted to donate some of his very own books. If this isn't the definition of heartfelt giving, I don't know what is! For his generosity, Kevin received recognition from Rotary. Rotary Members, spouses, and friends enjoyed a beautiful day for the road trip to Vino in the Valley. Tom & Debbie Lawell leading the Caravan! Eva Cheney-Hatcher and Richard Hatcher following Tom's lead....including putting the top down! A Serenade for Mike Maguire's birthday! Ready to head back, and do it again Next Year! Thank you, Bruce and welcome, Eva! Our 2014-15 Club President, Bruce Nordquist, was thanked in style at our June 22 President's Dinner, during which he "passed the gavel" to our 2015-16 president, Eva Cheney-Hatcher.